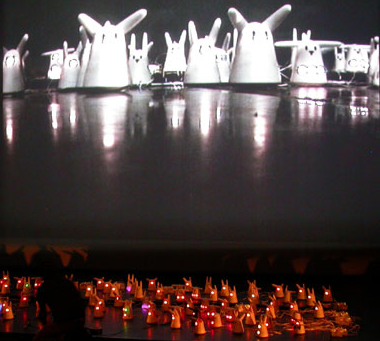 Via Nick Kings, Nabaz’mob is “an opera for 100 smart rabbits”. It’s worth watching the video to the end if only to see the artist throw carrots into the audience. Mad as a box of ferrets. You can now buy these – see nabaztag! A Whatfettle article by Paul Downey published Wednesday, October 11th, 2006, at 12:45 pm under a Creative Commons License.